The 4th of July is a great day to celebrate American Pride. and while we won’t be celebrating any world cup victories You can still embrace Americas best this holiday with great food, fireworks and music… and booze lot’s of American booze. Here are my top 3 picks for where to hick it this 4th of July! 1.) 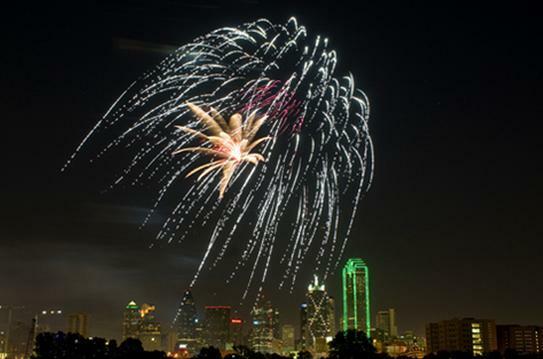 Watch Fire works Live at the Arlington Highlands On Friday July 4th all the shops and movie theaters will be open then after 8 when the sun goes down you can park your blankets and watch the Fireworks in Arlington in the beautiful Highlands Park area. This is a very Family friendly area of Town and a perfect place to stop after a Rangers Game or an Afternoon at Sixflags. 2.) Willie Nelsons Picnic- “Long before Lollapalooza and Coachella Music Festival, there was Willie’s Picnic – an outdoor music festival that began in a small Texas town that would continue for decades. The event has changed much in its nearly four decades, culminating into this year’s event: an all-day concert outside of Billy Bob’s Texas with a fan base spanning several generations. Willie’s 4th of July Picnic is a three-stage festival featuring some of the biggest and best acts in live music. The picnic is one big celebration with easy access to all stages, food, services and more. You must be 18 and up with a valid ID to enter; under 18 are welcome with a parent or legal guardian.